The former NRP "Afonso Cerqueira" (F488) was a corvette, class "Baptista de Andrade", of the Portuguese Navy. This class is still in the active the NRP João Roby. Based in Lisbon, it had the function to carry out surveillance and rescue missions in the Azores, Madeira and the Exclusive Economic Zone. Just as he performed national training exercises as well as international exercises with other naval forces. The old corvette Afonso Cerqueira entered the service of the Navy on June 28, 1975. The operational life of the ship ended on March 11, 2015 with the lowering of the national symbols. 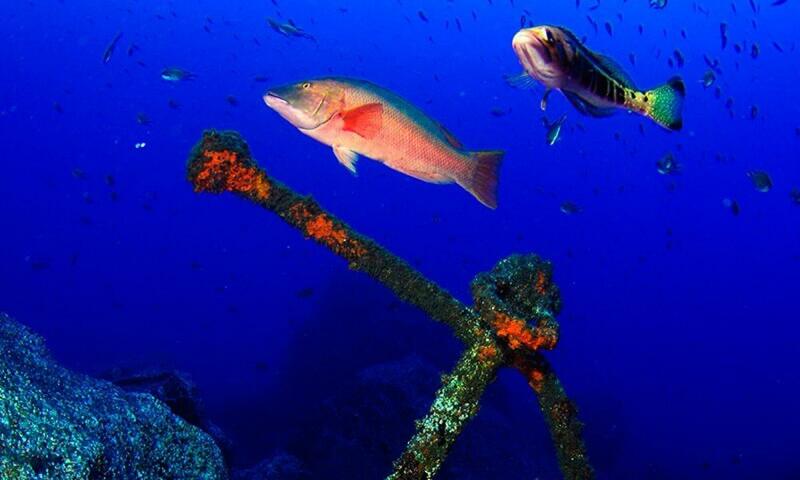 The ship was sunk on September 4, 2018, south of Cabo Girão, off the island of Madeira, where the former NRP Afonso Cerqueira will fulfill its final mission, creating an artificial reef and providing a habitat for numerous marine species which will be his last garrison.